The Yukawa Memorial Hall (the old building) of the Yukawa Institute for Theoretical Physics and the late Prof. Hideki Yukawa's office preserved as it was at the time of his retirement. In front of the Hall are his portrait bust made by the late sculptor Kakuji Yamamoto at a request of the Yukawa Memorial Foundation in 1987 and cherry trees (Cerasus Yoko JPPBR147) donated by Mrs. Sumi Yukawa, the widow of Prof. Yukawa, on behalf of the World Federalists Movement in 1989. The Yukawa Institute for Theoretical Physics was inaugurated in 1990 following the unification of two previously independent institutions, the Research Institute for Fundamental Physics of Kyoto University and the Research Institute for Theoretical Physics of Hiroshima University. 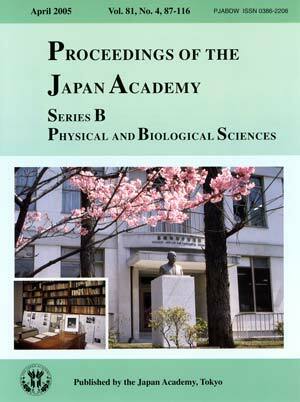 The former was established as an inter-university institute to promote natural science in Japan in 1953, in honor of Prof. Hideki Yukawa, who was awarded the Nobel Prize in 1949. Meanwhile, the latter was founded by Prof. Yoshitaka Mimura in 1944 as an institute to study mathematical foundations of theoretical physics. 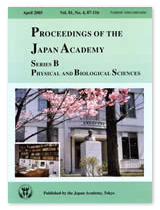 After unification, the Yukawa Institute for Theoretical Physics became the unique research center in Japan that covers all fields of theoretical physics. Although it formally belongs to Kyoto University, the Institute's facilities are open to researchers from other institutes and universities, who also participate in general policy-making and administration of the Institute. More than twenty domestic workshops and several international conferences are organized at the Institute and about 200 foreign scientists visit there every year. It also provides a mirror site of the international e-print archiver arXiv and is playing the role of an information center for theoretical physics in Japan. The Institute is now aiming to become an international center for theoretical physics.